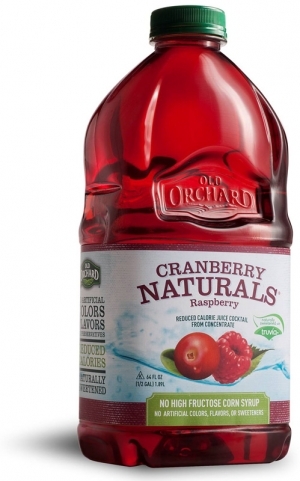 I received a couple bottles of Old Orchard Cranberry Naturals juice to try out in the Cranberry-Grape and Cranberry-Raspberry varieties. I was a bit hesitant to taste the juices because it is a "reduced calorie" drink. It is naturally sweetened with Truvia and I just wasn't sure what I would think. Truvia is a natural, zero-calorie sweetener that is made from the stevia plant. 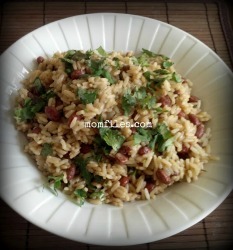 Since it is natural there is no effect on blood sugar or glycemic index. This is good news since I have found that "diet" drinks make me put on weight! I tasted the Cranberry-Raspberry and to my surprise it was very crisp and refreshing with the right amount of tart/sweet balance. 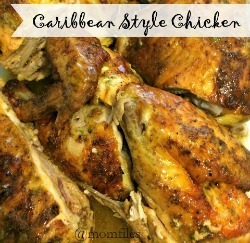 I served some to some guests that visited my house over the weekend and I asked them if they liked it. Everyone said that it was good and had a nice flavor. When I told them it was sweetened with Truvia they thought I was lying! Even my hard to fool husband was impressed with the taste and did not notice the difference from the regular blends. You might already know that cranberry juice is a great source of natural vitamins and minerals that are very effective in the treatment of urinary tract, bladder and kidney infections. Cranberries are also packed with antioxidants that help protect against heart disease and cancer. I think with all the benefits cranberry juice beverages provide and the fact it is naturally sweetened and lower in calories is a winner for me and my family. You can check out this link to find a store near you that carries the Old Orchard brand. 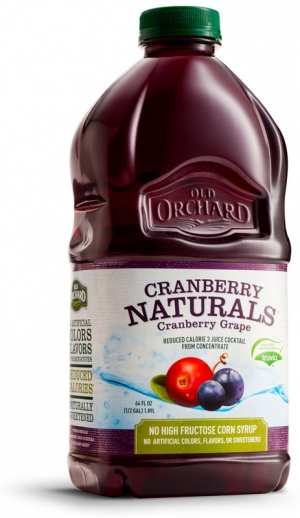 Would you like to try out the bold and delicious taste of Old Orchard Cranberry Naturals juices for yourself? I have coupons for FREE 64 oz size bottles for 2 (two) Momfiles readers to win. The prize is 2 coupons for a FREE bottle as well as 2 money saving coupons for 50 cents off. You can enter in the widget below. Be sure to complete the mandatory entry so your extra entries count. This contest is open to US Residents only and will end on March 2, 2012 at 12:00 pm EST. Please leave your email address in your comment if you do not have a Blogger profile. Failure to follow the rules will disqualify your entries. Momfiles is not responsible for any lost or stolen prizes. Good luck! I want to try Cranberry-Raspberry ヅ *Thanks* for the giveaway! Cranberry Grape sounds good to me and I am sure my daughter would love it too. I would like to try Cranberry-Raspberry. I'd like to try the Cranberry Raspberry. I would like to try Cranberry-Grape. I would like to try the cranberry apple flavor. I want to try the Cranberry Naturals Cranberry Apple flavor.